Many people first enter the gates of a church at a large function, perhaps a funeral, wedding or church bazaar. Our Catering practices show a lot about our relationship with the Creator God, and our neighbours. After that event is the Church yard strewn with rubbish, some of which will be blown into the neighborhood? Do we buy cheap meat which is coming from harmful practices to animals? 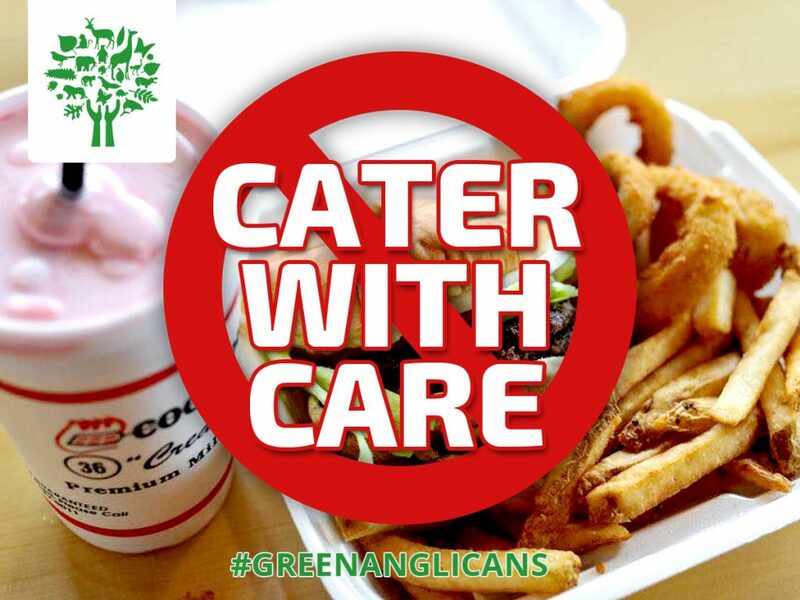 How much compassion do we put into our catering practices? • fair-traded coffee, tea, juice, and chocolate and vegetarian food. paper. The positive effects of this choice on the environment are often underestimated. If you “love your neighbour as yourself”, you are interested in who is producing the goods that you need and how. Can you find the respect of life in the whole production process? This material was produced by Norman Tendris who was tragically killed in the Ethiopian Airlines Crash.